Adviser to PM on Commerce, Textile, Industry and Investment Abdul Razak Dawood on Wednesday said that the government plans to establish dedicated Ease of Doing Business Centers in the federal capital and all four provinces in the next three months to fully facilitate entrepreneurs to make investments in the country. 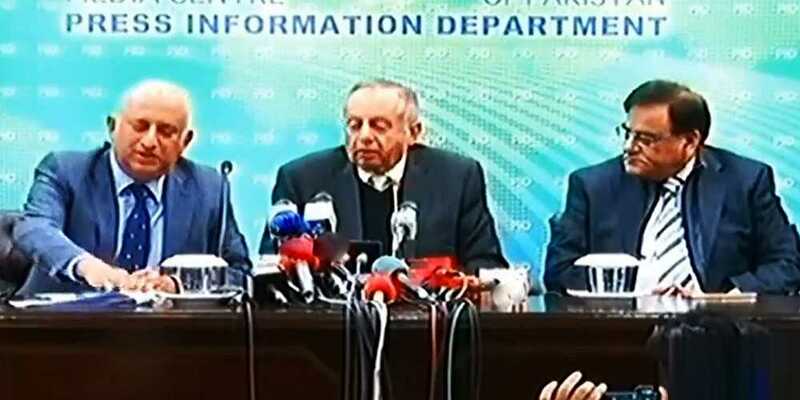 Addressing a news conference in Islamabad alongside Board of Investment (BOI) Chairman Haroon Sharif, Dawood said, "Pakistan is currently ranked 136 among 190 economies in the ease of doing business and the prime minister has given us the target to improve it to 100 in the current year." "Our efforts are focused on improving the ranking of the country in terms of doing business," the premier's adviser said. "We are bringing a promissory note for exporters in order to address their liquidity issue. Our effort is that tax refunds do not pile up in the future," he continued. "The process of industrialisation has been started in the country which will create immense job opportunities for the youth." Delving into details regarding the steps being taken to facilitate businessmen, the BoI chairman said, "We are issuing business visas in 24 hours now." "Businessmen can now apply for visas online without going to Pakistan's embassy.Initially this scheme has been launched for four countries and later will be expanded to 60 countries," Haroon added. "Tax payment procedures for businesses are being simplified and the number of taxes has been reduced to 16 from 47," he said while adding that businessmen can pay taxes online. "Laws will also be framed to ensure that businesses have easy access to banking credit," Haroon continued. "A single window solution has been introduced for businessmen. The Punjab government has also introduced a single portal that will facilitate investors in registering their properties," the BoI chairman further said. "The power sector and NEPRA have also been taken on board so businesses get power connections in minimum time."